Ford Figo the small hatch from the stables of Ford India has taken the market by storm since it has been introduced in the country. This car is suitable for people from all walks of life and is being sold in both petrol and diesel variants. The diesel cars are very popular in the Indian market as diesel is cheaper than petrol and works out quite economical for most of the people. But as the price of the petrol variant is very competitive and affordable, Ford Figo has been successful in generating sales for both versions. To further attract the customers in buying this car, the company is offering a huge discount of Rs. 16,000 for every customer who takes this car. The best part of this deal is that this discount is there even on the diesel variant, which is quite surprising as most of the companies offer discount on petrol vehicles. Generally diesel vehicles are costlier and incur high input costs as well; therefore the margin is lesser when selling a diesel car. Apart from all this, the company has added some more features to Ford Figo’s top variants, which has made this hatch more tempting and striking. Ford Figo price in India starts at – Rs. 3.74 lakh for the petrol variant and the diesel version starts at Rs. 4.69 lakh (both prices ex-showroom Delhi). According to a Ford Figo review, this car has all the features and a healthy engine which is quite compatible for the Indian roads and the climate. The air conditioning is very powerful and the integrated Bluetooth interface is very appealing. 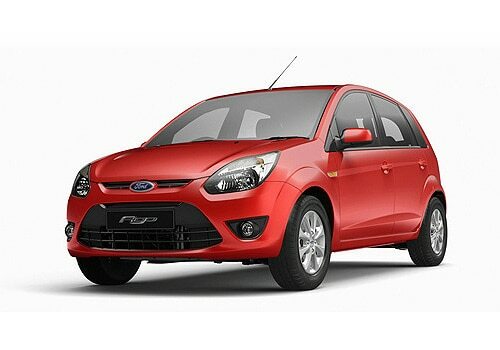 The exteriors of this car are also very eye-catching with a sleek design, which can be seen in the Ford Figo pictures.